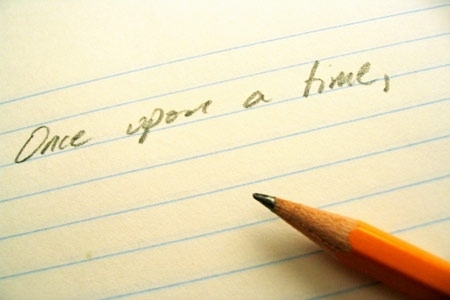 Any short story, novella or novel must have a beginning, middle and an end. A beginning is a part where the author introduces the story to the readers. It is in this part where the characters are revealed, the setting and plot becomes evident and the theme is established. During the middle part of the story, the characters develop, entwine in the life of other characters and their own subplots emerge. During the middle, the author puts in the rising action and the conflict. This conflict creates tension in the plot as the protagonist and the antagonist and other supporting characters begin to evolve further. Also in the middle is the plot twist, which can bewilder the reader. By the end of the middle part, the conflict becomes thin and the protagonist resolves the conflict. The end of the story/novel shows how the conflict ends or in some cases, how another conflict begins that predicts the arrival of a sequel to the short story/novella/novel. During the middle part of the story, the characters develop, entwine in the life of other characters and their own subplots emerge. During the middle, the author puts in the rising action and the conflict. This conflict creates tension in the plot as the protagonist and the antagonist and other supporting characters begin to evolve further. Also in the middle is the plot twist, which can bewilder the reader. By the end of the middle part, the conflict becomes thin and the protagonist resolves the conflict. The end of the story/novel shows how the conflict ends or in some cases, how another conflict begins that predicts the arrival of a sequel to the short story/novella/novel. By the end of the middle part, the conflict becomes thin and the protagonist resolves the conflict. The end of the story/novel shows how the conflict ends or in some cases, how another conflict begins that predicts the arrival of a sequel to the short story/novella/novel. The beginning, middle, and end of a short story/novel will be discussed in detail on this future in the future. Previous postWill Xander Cage become a memorable character? Next postWWE: Royal Rumble 2017 sizzles for more than one reason!